Carl studied viola at the Guildhall School of Music with Mark Knight and Paul Silverthorne. After leaving college, he moved to Athens, and then Spain, where he was principal viola of the Real Philharmonia de Galicia. During this time he was also a member of Quartetto Matiz who performed regularly around the country. In 2000, he joined the Bournemouth Symphony Orchestra as sub-principal viola. 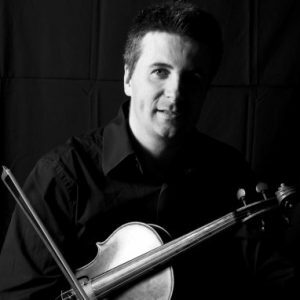 Carl has performed with most of the UK’s major orchestras and is now living in Cardiff enjoying the diversity of freelancing and looking after his two little boys!